Below is a listing of commonly asked computer questions and answers for basic computer troubleshooting steps. 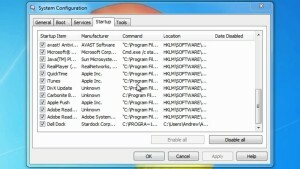 These issues commonly effect the operating system, software programs, and computers hardware. Keep in mind that this is just a selected few of the thousands of questions and answers that are related to computer troubleshooting solutions. 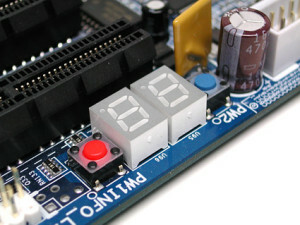 Most motherboards provide some kind of auditory feedback to help identify an issue that you’re having with your PC. Depending on your machine, one beep might mean, “All is well” A number of sequential long beeps might indicate that your video card or RAM is improperly seated in its slot or has gone bad. One long beep followed by nine shorter beeps might signal that your BIOS has a ROM error and that you should probably clear the motherboard’s CMOS. Not all motherboards use the same beep codes, and the manual that came with your part or system may not list the codes that it uses, so you may have to research online. Such motherboards usually have diagnostic LED’s on the motherboard that provide the same information, but you’ll have to open the case to see them. Your system might be suffering from limited resources, particularly memory, or from too many apps running in the back end. The issue tends to arise more often with 32-bit operating systems than with 64-bit ones. Check your System Properties screen to confirm that the amount of memory listed is correct. After launch msconfig (type msconfig into your Run window, and press Enter). Examine the list of apps that launch as Windows starts up. Disable unnecessary apps and services then perform a Google search of any unfamiliar names to see whether you can safely remove them. Finally, you can try rebooting your computer into Safe mode and subjecting it to a scan for viruses to be on the safe side. 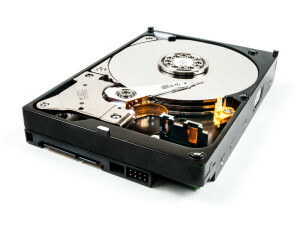 There are several reasons why your hard drive might be making odd noises. The heads might be bumping the spinning platters, or unable to find the data they’re looking for. (due to bad sectors or a problem with the head itself). This results in an audible clicking sound as the disk resets and tries to read the data once again. It’s obvious, that unpleasant noises are an early sign that your drive is nearing the end of its life. It could die in 5 minutes or in five weeks. So back up your files to an external hard drive as soon as possible. Your first computer troubleshooting step should be to disconnect and reconnect your cabling after that, try using a different cable to see whether you can resolve the issue easily and inexpensively. Assuming that your graphics board or motherboard supports a different connection type. Try switching to one of the other connectors DVI, HDMI, or VGA to see if that fixes the problem. Funky colors on your monitor could be an early sign that your video card is going bad. Check your card’s fan to confirm that there is power getting through and make sure it is spinning freely. 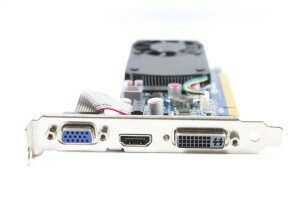 If your system is running and your monitor is dark, your video card could be dead. For any further computer troubleshooting questions that you might have contact us and we would be glad to help. Sean from Tech Guys came over to my business and helped us navigate AT&T's difficult customer service in order to get the office set up with enterprise fiber internet. He went through and made sure things were organized at the switch, and that all of the edit bays and individual ethernet drops were properly labeled and working. Copyright © 2019 Tech Guys Help.